Every October, 3rd weekend, Arch Bishop Carney staff, parents and students host their huge Annual Garage Sale. Doors open at 8:30 Saturday and the lineups are amazingly long. DH finding an "Ascot on Oak" Mason's coffee pot was a highlight. 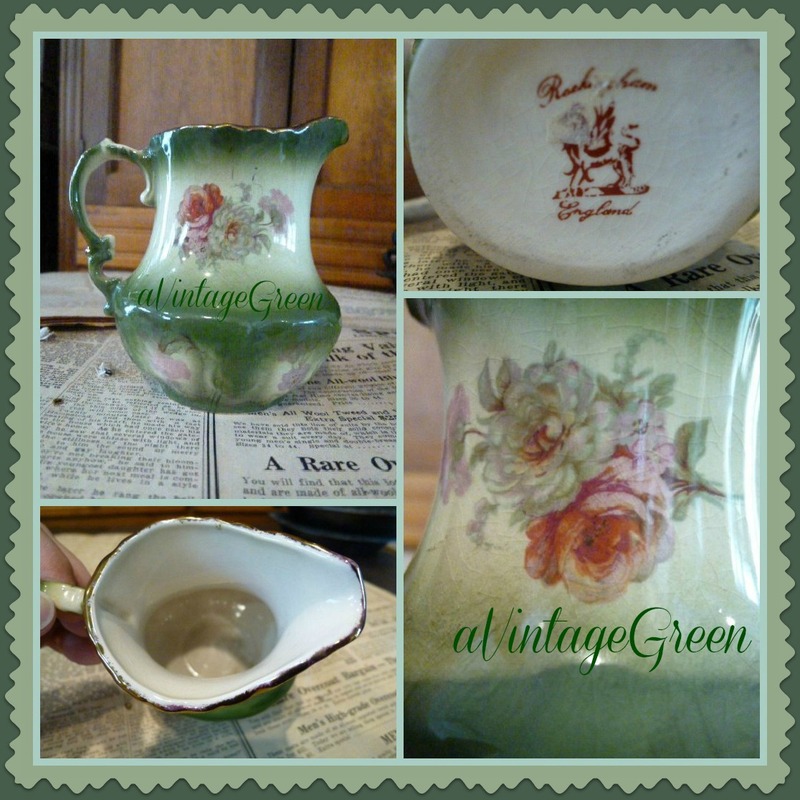 Imagine finding a Rockingham creamer (DH found this too)! 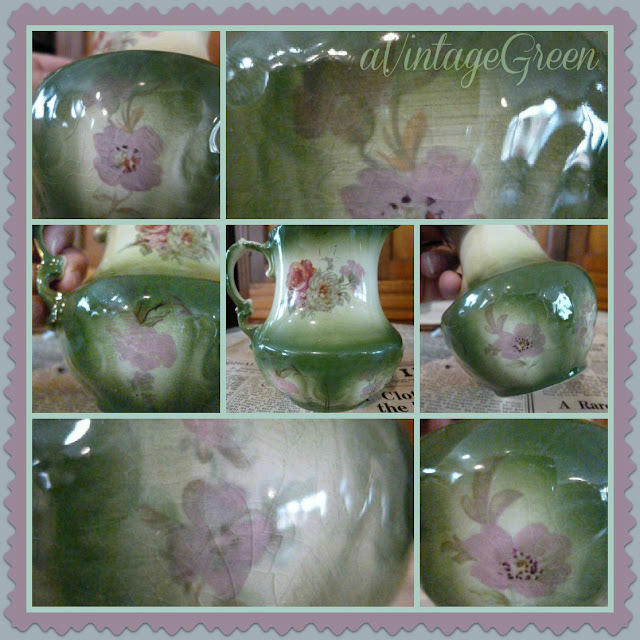 The delicate painted flowers around the base and on both sides of the creamer are lovely. 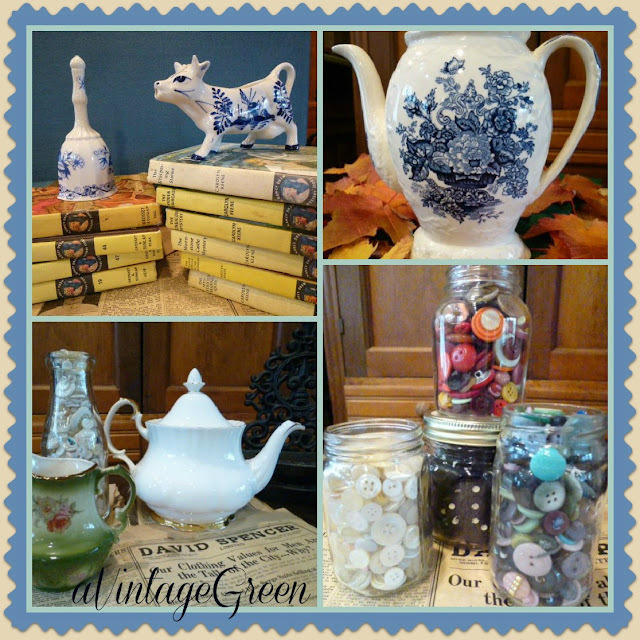 Just a few more vignettes of some of the Carney weekend finds. Thanks to all the volunteers who sorted, set up, worked and then cleaned up after this huge garage sale (gym, cafeteria, two long hallways, multi-purpose room and even outside the gym doors). 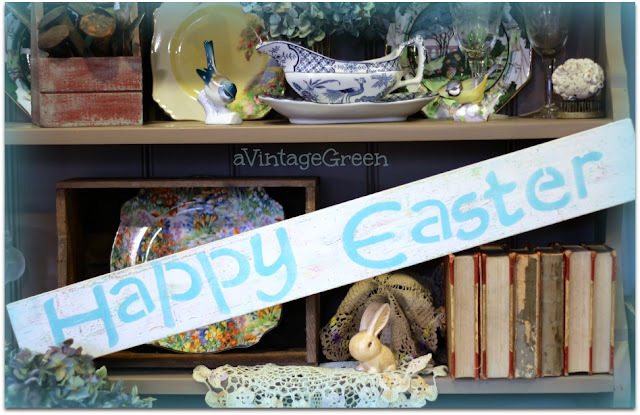 Love your finds and your vignettes. Those are all so pretty. I love the vintage green:) And blue is my favorite color. Thanks for sharing. You find the BEST things!!!! Loved getting to see it all.....now I'm off to catch up on the posts I've missed of yours! Oh my Gosh Joy ... what great treasures. Love them all. Love, love, LOVE them all!! Such beautiful finds! Hey, I need those buttons, lol. You do indeed have some beautiful finds. These are amazing finds - well done you! Wonderful finds and beautiful photos. I zoomed in on the jar of Buttons...I posted about Blue Buttons for today, too. Happy Blue Monday. What great finds. I love your blue and white especially. Gorgeous finds! Your pictures are beautiful! Stopping by from Meet Me Monday ... looks like quite a haul. You did very well at this ale. The ones I go to never have anything this nice. Thanks for your visit. Everything you found is lovely! I especially love the Rockingham piece -- wow! oh the buttons are so great! sounds like this is a pretty special event! I would be a happy camper with that blue pot! Nice! So pretty, love the mosaics! :) Happy Blue Monday! Wow you really scored! 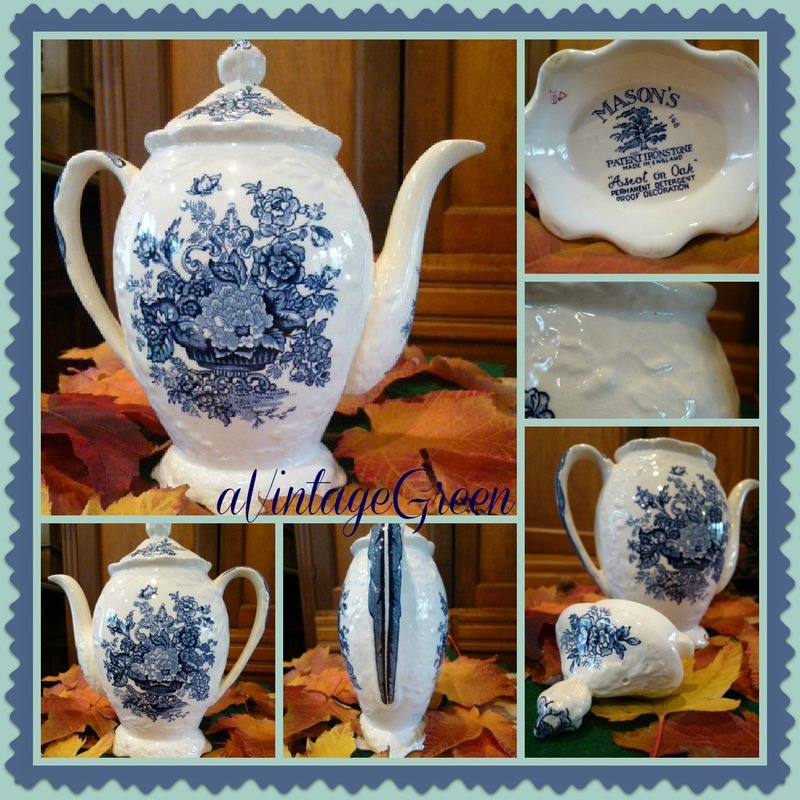 Such beautiful teapots and I love the jars of buttons. Love your blog. The French Hens are your newest followers. I might have fought you for any and all! beeeeautiful! And I love your vignettes. Just found your sight through Meet Me Monday, you have a new friend. Love those blue and white dishes, always my favourite. Lots of fun finds.